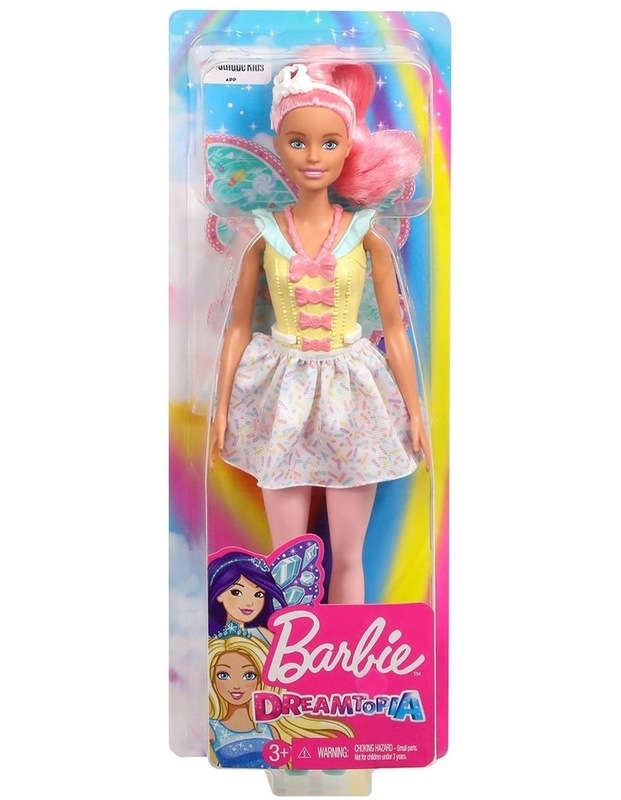 BARBIE Dreamtopia Fairy Dolls with Wings. 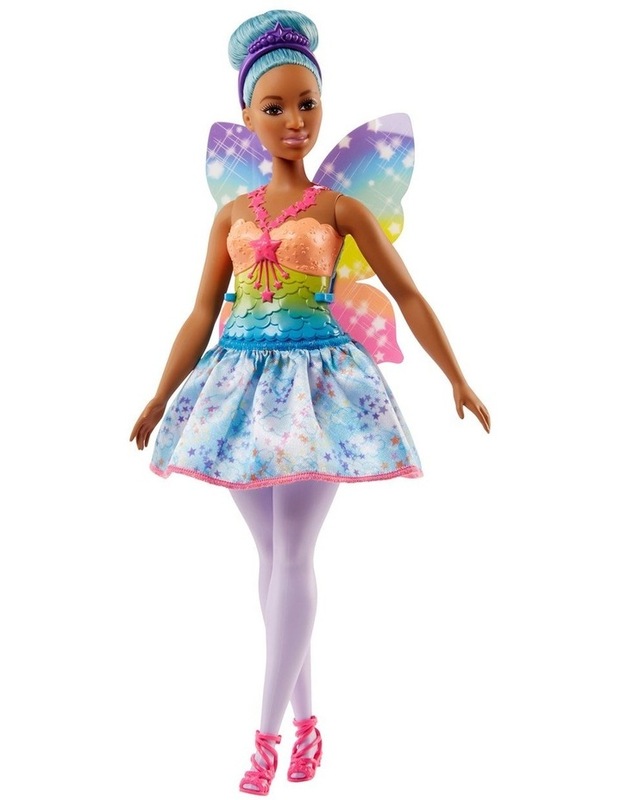 Play in a magical land with Barbie fairy dolls from Barbie Dreamtopia -- choose a doll themed to candy, jewels or rainbows! 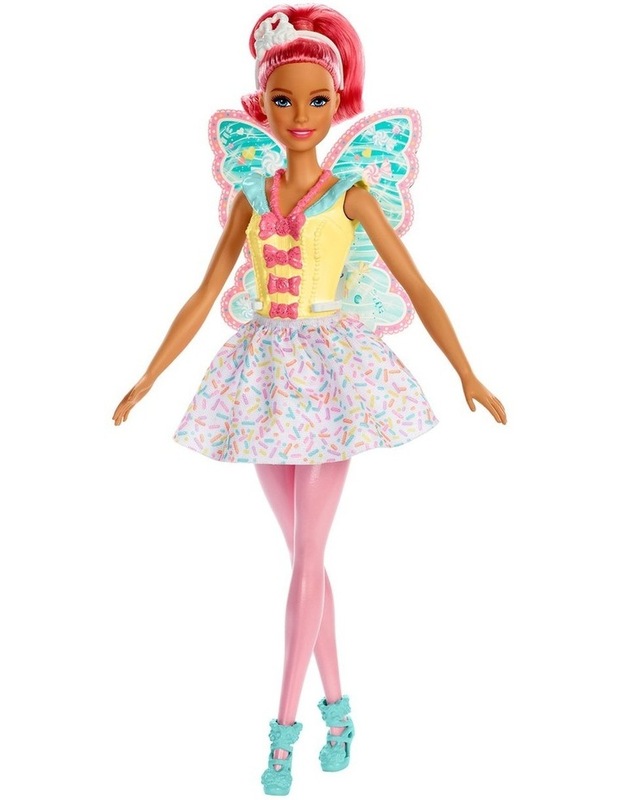 Each doll has a dazzling pair of wings designed in bright colors with fantasy graphics. 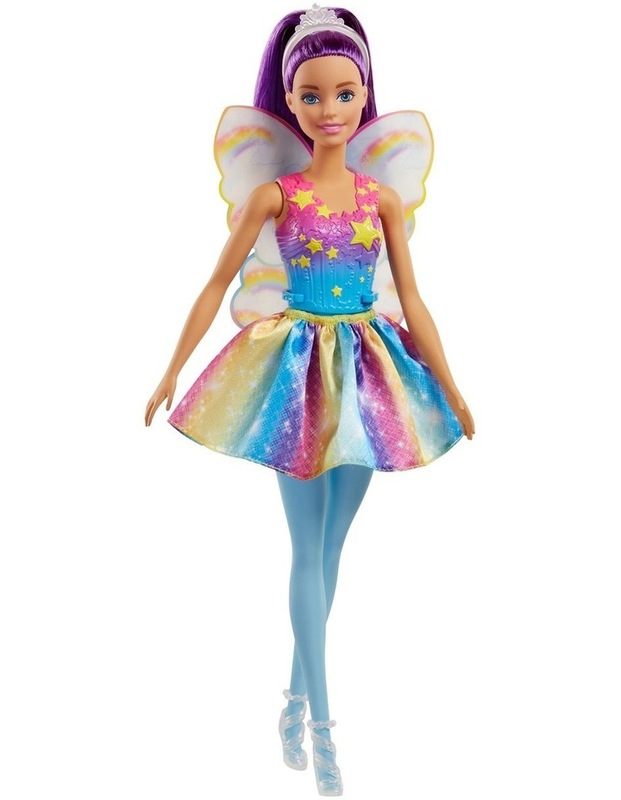 Unique outfits feature colorful bodices, shimmery printed skirts and matching fairy shoes. 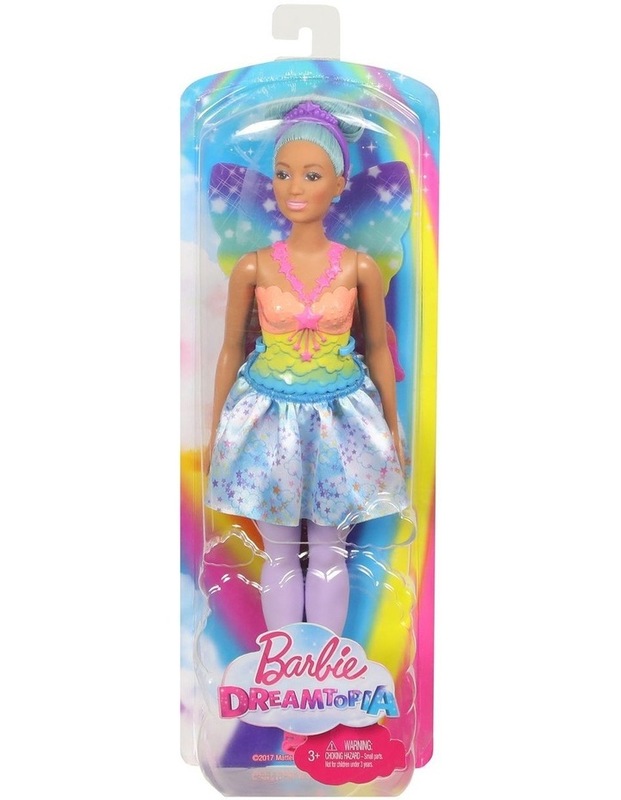 Colorful hair is dressed up with matching tiaras for a fantasy touch! 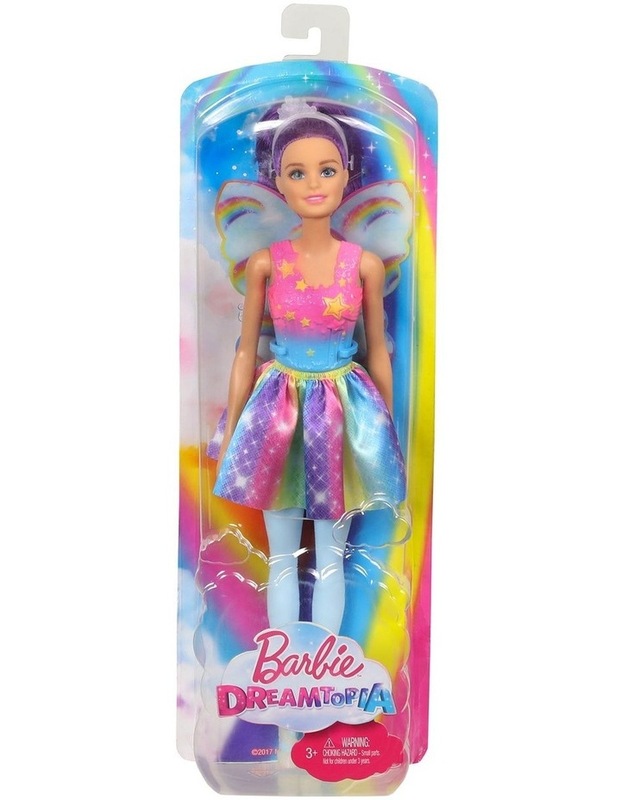 Collect all the Barbie Dreamtopia dolls and toys to recreate favorite scenes or tell your own fairytales and sail away with Chelsea and her big sister Barbie to magical lands where adventure never stops and imagination soars (each sold separately, subject to availability).